New Preston North End goalkeeper Chris Maxwell is to train with the Wales squad ahead of Euro 2016. 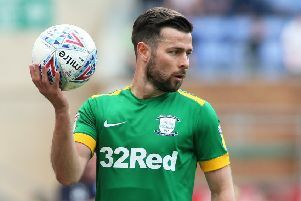 Maxwell, who joined PNE from Fleetwood Town last week, will join up with Chris Coleman’s squad in Portugal on Thursday. He is part of a 30-man training squad which will be cut to 23 at the end of the month. The other 29 players arrived in the Algarve on Tuesday, with Maxwell’s call-up a slightly later one. Crystal Palace’s Wayne Hennessey, Daniel Ward from Liverpool and Owain Fon Williams who plays for Inverness Caledonian Thistle are the other keepers in the Wales squad. Wales are in the same group as England at the Euros, together with Russia and Slovakia. Maxwell has not played at senior level for Wales but represented them from the Under-16s through to Under-21s.